Healing Grace serves the needs of married and premarital couples in all walks of life. Rob specializes in helping couples dealing with issues of sexual addiction, affairs, and emotional brokenness. His style integrates insights from attachment theory, family systems theory and solution-focused approaches with a biblical worldview. Moreover, Rob is certified to administer the Prepare/Enrich Assessment to married and premarital couples as an adjunct to their treatment upon request. Robert has been a Licensed Professional Counselor in the Commonwealth of Virginia since December, 2002. He received his B.A. in Psychology and Theology from Oral Roberts University (Tulsa, OK) in 1990 and his M.A. in Psychology from Biola University (La Mirada, CA) in 1992. Rob completed a second M.A. in Psychological Services at Marymount University (Arlington, VA) in 1999. 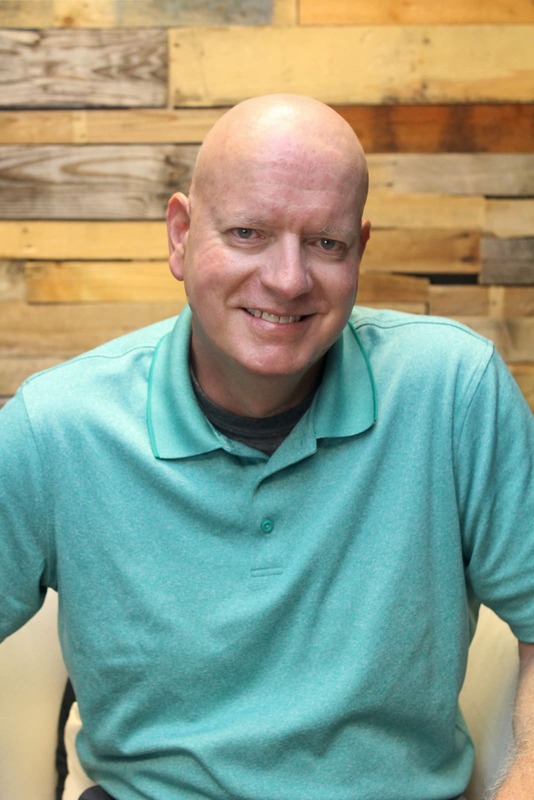 Since then, he has worked exclusively in the outpatient setting providing counseling from a Christian perspective to adults, adolescents, and families. He began Healing Grace Counseling Services in July 2009, and he has been a participating counselor with New Life Ministries since 2003. Rob is a life-long resident of Virginia. He lives in Winchester with his wife Stephanie, step-son Devin and son Liam. He has been a survivor of Acute Myelogenous Leukemia (AML) since June 1992, and he published his autobiography, Coming to Terms With the Potter (Xulon Press) in 2003. Healing Grace Counseling Services Robert C. Brown, LPC 133 W. Boscawen Street, Suite 10 Winchester, VA 22601 Phone: 540-686-7831 Fax: 540-686-7832 healinggracecounseling@hotmail.com Our office is located in Historic downtown Winchester, VA. in the Capricorn Building. Parking is available in the lot adjacent to the building. What should I expect in the first session? The purpose of the initial meeting is to get a chance to know the client, gather some helpful background information and help the client determine goals for counseling. Sometimes, issues arise in-session that require immediate attention and take precedence over other matters. Examples of these would be: suicidal intentions, reports of ongoing abuse or other actions which threaten the wellbeing of the client or others. As a licensed counselor, Rob has the professional responsibility to balance assessment and diagnosis of these matters with the desires of the client to work on specific issues. The first session lasts approximately 75 minutes. How are the sessions structured? Sessions are usually 50 minutes in length; however, the time may vary depending on the needs of the client. The structure of the sessions is tailored to the specific needs of the client as well. Sometimes Rob provides counseling in a more non-directive format and serves as an active listener who helps the client formulate issues, clarify feelings and perceptions, and come to conclusions with minimal advice or attempts at problem-solving. In other instances, especially in the areas of marriage counseling, crisis management and addictions treatment, Rob functions more as an educator or life coach to clients who are seeking more feedback, guidance and direction from the counselor. In both cases, Rob will consider the needs of the client as tantamount and believes it is ultimately the decision of the client to pursue a certain direction or issue. How long does the counseling last? This varies from client to client depending upon the nature or severity of the client’s presenting issues, the level of commitment the client has to work on his or her issues in between sessions and how deeply the client wants to explore the underlying factors that have given rise to his or her initial reasons for seeking counseling. Some clients seek Rob to help them get through a specific crisis or to seek advice on a specific area of concern. Traditionally, these clients are very short-term (i.e., 1-3 sessions). Clients who have problems that are more pervasive or long-standing might remain a client at Healing Grace for longer than the standard 6-8 sessions offered by many Employee Assistance Programs (EAPs). In most cases, goals for counseling are set within the first two sessions and progress is discussed and evaluated throughout the course of treatment. Counseling terminates when either both the counselor and client determine that the goals have been met or the client decides to discontinue treatment after substantial progress has been made. Will my health insurance cover counseling? Rob is often covered on an out-of-network basis by other insurance companies. In most cases where Rob provides services on an out-of-network basis, the client is expected paid the full fee out-of-pocket and then file separately for reimbursement. Be advised that many insurance companies require you to satisfy a deductible when receiving services from providers who are out-of-network. Rob will help you with the paperwork when filing on an out-of-network basis. Please contact your insurance provider prior to your visit to find out exactly what your co-pay is and if Healing Grace is an in or out of network provider. What are Healing Grace’s out-of-pocket counseling rates? Does Healing Grace accept payments by credit cards, check cards or cards associated with a flexible spending account? Payments are by cash or personal check only. However, in cases where clients are using flexible spending accounts, Rob will help you do the necessary paperwork in order for you to receive reimbursement from your employer. How much are parents involved when the client is a child or adolescent? Although this varies from client to client, Rob prefers for the parents to be involved in the treatment of the minor. Rob generally refers younger children to clinicians who are specifically trained in the treatment of children. The older the child, the more he or she is treated individually. This issue involves a clinical judgment on the part of the clinician. If the main problem is assessed to be issues within the family, then family therapy is employed as the main treatment modality. Conversely, the assessment may reveal that the young person needs to have a safe place to talk confidentially with someone regarding particular issues. If this is the case, Rob will provide general feedback to the parents regarding progress and how they can offer support to their child. Under very few, if any circumstances, would Rob ever treat a child or adolescent without providing the parents any feedback or involving them in any way. What do I do if I need marriage counseling, but my spouse will not come in? The short answer is—come in by yourself. The reason for this is that there are many occasions where one spouse can change and make significant improvements. In turn, this often provides motivation for the other spouse to come in. In order to reduce the time for administration on the date of your appointment, you are asked to download and print the forms to the right prior to your initial visit. If you are unable to print out the forms, they will be provided for you in the waiting room. If possible, scan and send the filled out documents to healinggracecounseling@hotmail.com prior to your first visit. Please contact your health care provider and confirm your co-pay amount especially if a deductible applies.